Although it tends to stir up controversy nowadays, the term “millennial” was never intended to make any waves. Rather, it was meant to describe a generation of younger consumers who, having grown up amidst a backdrop of technological innovation, globalization, and economic tumult, developed behavioral patterns and consumer preferences decidedly different than those exhibited by their parents. Any controversy aside, though, the millennial generation is the largest one in history, and its members—some 92 million strong—are today reaching their prime as consumers. For marketers, this represents a bona fide megatrend that’s every bit as significant as the 10,000 new Baby Boomers who each and every day reach retirement age. So what follows are some indisputable facts about millennials, and the beliefs and preferences that drive their unique consumption habits. Understanding this, it seems, will be key for digital marketers across every industry as they develop strategies and even transform their businesses. For history is happening today, and millennials are now poised to become the world’s most prominent spenders for many decades to come. Amidst a sternly more divided society, the term “millennial” has developed something of a negative connotation in recent years, with many traditionalists and conservatives portraying millennials as a generation of entitled, liberal crybabies. No wonder, then, that some who technically fall into the “millennial” category—on account of being born between 1980 and 2000—don’t especially like or identify with the term. Educated: Millennials are the best-educated generation in US history, with one-third of those ages 26-33 having earned (at least) a four-year degree. This level of education is believed to play a role in millennials’ shopping habits and elevated expectations for the companies and brands they buy. Ambitious: 87% of millennials have taken on management positions with their companies since 2012 alone, and with 63% of all current US executives eligible for retirement within the next five years, millennials are uniquely positioned to champion virtually every industry in the years ahead. Purchasing Power: Millennials face some very stern economic challenges—like crippling college loan debts, for example—however, an estimated $3.39 trillion in combined purchasing power, plus their willingness to buy online and using mobile devices means millennials have both the money and the means to exercise some serious buying power and influence. Millennials’ sheer number and vast buying power make it little surprise that marketers are committing vast resources—financial and otherwise—in an attempt to appeal to and meaningfully engage them. But in something of a surprise twist, and one that further emphasizes millennials’ unique consumer attitudes, marketers have found that effectively targeting millennials isn’t nearly as easy as going “all in” on social media and/or video, despite the fact that millennials have a voracious appetite for both. Indeed, for marketers, a strong and highly calculated digital presence is crucial, since millennials live and shop in the digital space. However, mere presence alone isn’t enough. Millennials demand real value, and empowered by technology, competition, and the immediacy of information in today’s connected age, they expect an all-around customer experience that’s authentic, consumer facing, and perhaps even customized, or customizable by them. The prevalence of “fake news” and the constant bombardment of e-mail, social media, and other digital content (which is part of a phenomenon called “digital saturation”) has created an environment where today, just 6% of millennials consider online advertising credible. So while media like paid search ads, and the latest iterations on paid social content are both popular and proven effective for broader audiences, millennials are decidedly less likely to respond to these initiatives. 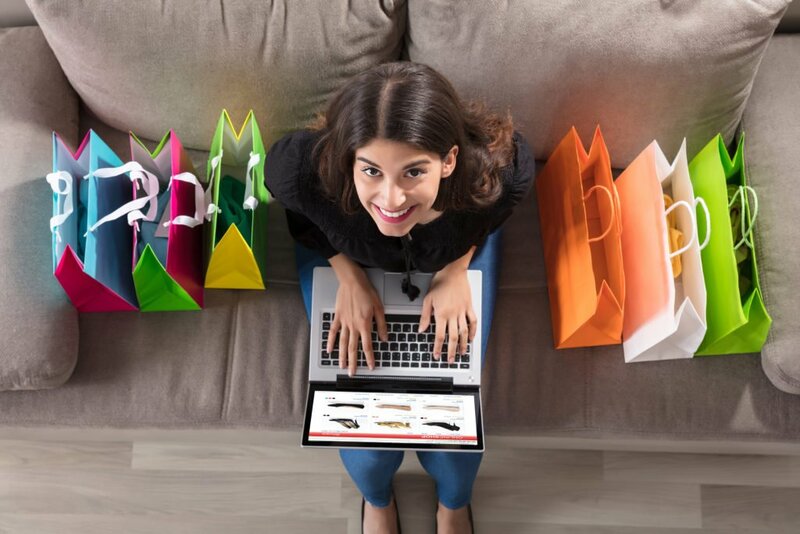 Instead, as the first digital generation, millennials’ affinity for technology and the Internet means that they are exceedingly likely to read various product reviews online, consult blogs and social media, and rely heavily on experiences and feedback from friends and family in gathering information and making eventual purchase decisions. In fact, data from SocialChorus indicates that a full 95% of millennials believe friends are the most credible sources for product information and reviews. Seemingly contradicting the “self-centric” label that often befalls this consumer segment, data shows resoundingly that millennials are especially cause conscious, and are actually more likely to purchase products from companies who give back to society, or whose expressed values are in line with their own. Thirty-seven percent of millennials, in fact, will pay more for a product that openly supports a cause they believe in, like fighting world hunger, or funding education programs. In response, more businesses are creating outreach programs and speaking out on political, human, and social issues, and marketers are even re-allocating marketing and ad dollars in order to boost spending on cause and social marketing. These trends are believed to be driven almost entirely by millennials, 83% of whom call for brands to take more public stances on key issues. Toms Shoes, for example, has become a resounding favorite among millennials on account of that brand’s promise to donate a pair of shoes to the needy for every pair sold to consumers. Millennials, it seems, aren’t the typical, singularly-cost-conscious consumers of old. And even though price is an important determinant, considerations like quality, value, and the aforementioned social themes all figure centrally into millennials’ purchasing decisions…and so, too, does the ease and convenience of the purchasing process. Convenience, in the minds of millennials, begins with a quick and highly responsive—and mobile-optimized—website. But it extends beyond that to now include time- and money-saving perks like free shipping and returns; intuitive product suggestions and one-click (re-)ordering capabilities; and supremely attentive customer service. All this is part of a seamless, value-driven user experience that millennial users not only desire, but expect and fully demand from companies and brands with whom they do business, whether online or in “brick and mortar” retail stores. For marketers, appealing to the millennial demographic requires plenty of strategic adaptation, and may still prove elusive and challenging. But considering the emergent wealth that’s expected and in many ways already apparent across this population segment, and the fact that millennials are fiercely and outwardly brand loyal, taking proper steps to engage millennials today could help produce consistent ROI for years or even decades to come. Thanks, Tracy Knight for your insights!